Thousands of meters of embankment of Saigon River have been built by people and businesses in Thu Duc district, Ho Chi Minh City. As a result of mobilizing all the resources of society, the banks of the Saigon River have changed their appearance, landslides reduced. 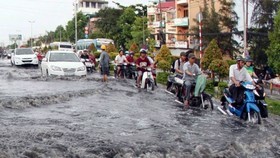 Saigon River flows through the territory of the Hiep Binh Phuoc, Hiep Binh Chanh, Linh Dong (Thu Duc district) and often causes landslides. The number of landslides has increased and the scale of damages is getting worse. Along the river, there are many warning signs of landslides for the people to watch out and prevent. Yet, warning only prevents deaths, but the problem of subsidence by the river that causes houses, gardens swept away. 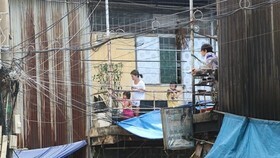 For instance, the landslides in the riverbank area of Hiep Binh Phuoc Ward drowned a mansion and hundreds of square meters of land into the river for a moment. The best way to prevent landslide is to build embankments. 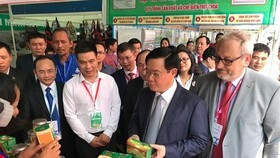 With the limited budget, Thu Duc district authority has taken the initiative to socialize, mobilize people and businesses to build embankments to prevent landslides. The policy of mobilization of social resources in building embankment has aroused the potential of the people, sharing the burden of budget with the authorities. 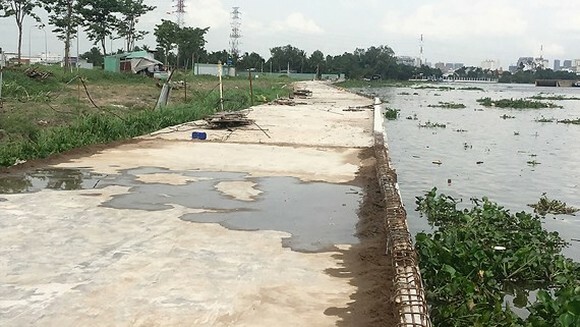 The embankment project invested by Dai Phuc Company has contributed to changing the face of more than 3,500m of Saigon River. 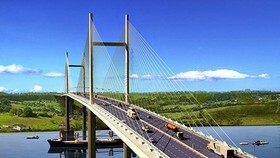 This is the largest embankment project in terms of the length and the investment money in Thu Duc district. 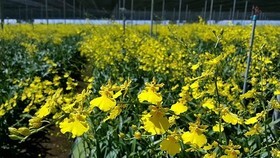 Together with Dai Phuc Company, there are about 10 medium and small embankments built by households and enterprises. 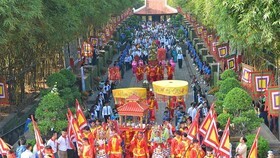 Funds invested in the construction amounted up to hundreds of million VND. Once the river sections are built with embankments, the status of the underlying landslide was controlled. The residents of the riverside were able to settle, no longer worried. Dr Nguyen Ngoc Thach, Director of Inland Waterway Port Authority Region 3 (under the Ministry of Transport) said that the construction of the embankment of the Saigon River must ensure three main factors: quality of the construction to erase landslides; technical quality to conduct water engineering works for safety of means of navigation on rivers; Appearance, creating the urban façade. He stressed that river embankments currently focus on quality and technical factors, not adequately interested in appearance works. 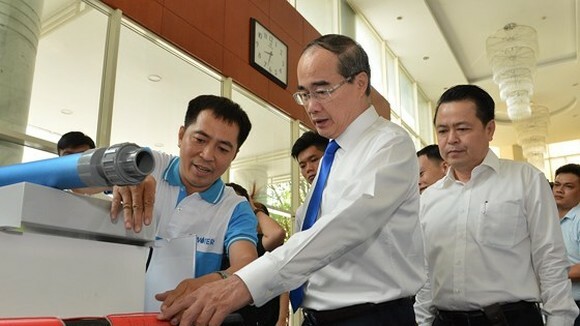 Therefore, not only embankment in the Thu Duc district but in many other places along the Saigon River as well, the form of work must be in a standard uniform. 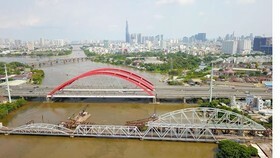 In order to have a beautiful system of embankments of the Saigon River, it is necessary to have a unified command to control the quality and appearance of the works, he added.